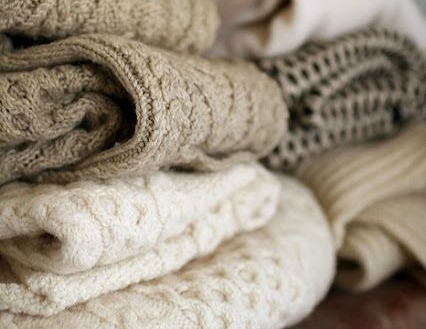 There is something very satisfying about breaking out the chunky knitwear, maybe because I know winter is on its way. A great transitional item for when it's cold but you don't want to break out the big winter coat yet, also great when the weather is unseasonably warm. 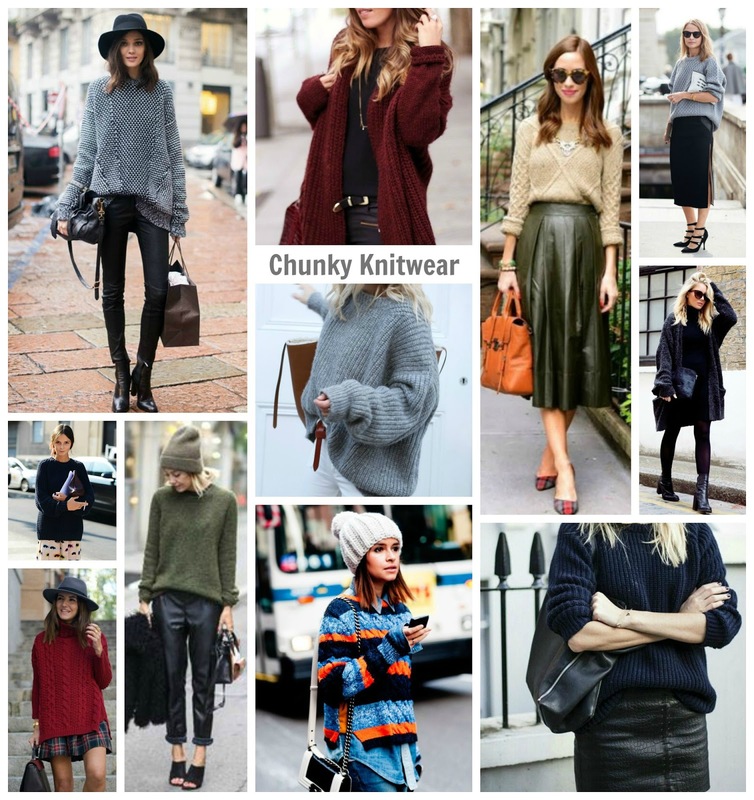 When it comes to knitwear especially the chunky kind I tend to stick to a couple of rules. If you opt for super chunky always team it with a fitted bottom half - skinny jeans or tapered trousers so as not to swamp the body. If you go for a skirt (mini or midi) always tuck it in, thinner styles work fully tucked in but for chunkier styles work the casual side tuck, this will help to show off the waist and add a touch of chic. The Leather midi skirt, camel jumper and plaid heel combo above is my favourite look, a great way to add in warmth to a stylish outfit and perfect for work. Although the aim of the chunky knit is to be warm you want to achieve this without looking like a yeti! My knitwear tends to be in neutral colours teamed with a statement necklace, hat or scarf - my favourite is a cute grey jumper from Topshop, but if you are brave enough throwing in a stripe or some bolder colour can be very stylish.